Raymond Koh’s disappearance is worthy of comparisons with Sombath Somphone. A Malaysian pastor has disappeared in a case that bares a striking resemblance to Sombath Somphone, the Laos agriculturalist and environmentalist who was last seen being bundled into a police car more than four years ago. On February 13, a group of masked men abducted Pastor Raymond Koh on a public road in broad daylight when he was driving alone in his Honda Accord to a friend’s house. Koh ran an organization called Harapan Komuniti – or Hope Community – in Kuala Lumpur. It helps the poor, drug addicts, and single mothers. Malaysia’s police chief Khalid Abu Bakar says officers were looking into three possible motives for the kidnapping; personal issues, extremist religious elements, or kidnap for ransom. No ransom demand has been made. His family has offered a substantial reward for his safe return. 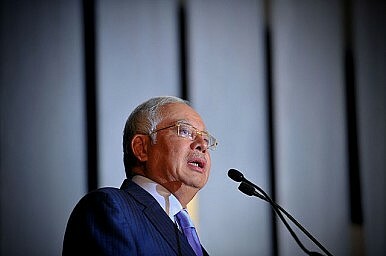 The World Council of Churches has urged Prime Minister Najib Razak to intensify efforts to find Koh, adding his disappearance was fueling fear and mistrust among Malaysia’s religious minorities. Malaysia’s reputation for scandal and religious intolerance has sunk to new lows over the past decade, with Muslim fundamentalists attempting to assert their brand of Islam over the rest of the country and in particular religious minorities. Authorities are advising people and the media to not speculate about the case. However, given present day attitudes toward non-Muslims and opposition politicians by the police and courts, to suggest Koh’s disappearance should not be discussed openly and publicly is to imply the state is embarrassed or is trying to hide something. This case is chilling. As the Straits Times in Singapore recently noted, rumors have been rife about the pastor’s kidnapping. A video apparently showing the abduction was carried out “with clockwork precision by a professional team arriving in a number of vehicles and motorcycles” has gone viral. The Straits Times said the video, which did not contain any audio, had been handed over to the police and is believed to have been shot from houses near the site of the abduction, in Kelana Jaya, a suburb in Selangor. The international media has been slow to pick up on Koh’s abduction but that is changing. A BBC dispatch recently noted that more reports of missing Malaysians are beginning to surface. “Many now believe these incidents are connected in what some call an ‘unprecedented’ spate of disappearances, which has mystified the country and raised fears of religious vigilantism,” it said. The BBC also noted that Koh’s organization was investigated by Malaysia’s Islamic authorities in 2011 after it was accused of attempting to convert Muslims while hosting a party with Muslim guests at a church. Despite its secular status, apostasy is an offence in Muslim-majority Malaysia. The allegations were eventually dropped. But his family added that he remained the target of online rumors and received two bullets in the mail shortly afterwards. Unless Koh is returned safe and well his fate will only add to those unwanted negative perceptions already gushing out of Malaysia, not unlike Laos and Sombath, whose last known moments were also captured on video and suggested police had a hand in his abduction and possible murder. A renowned activist for farmers and people of the land, Sombath was awarded the Ramon Magsaysay Award in 2005. He was friends with the likes of Archbishop Desmond Tutu in South Africa and that profile ensured his case became the focus of international attention. Laos is a one-party communist state where atrocious behavior by the government is not always unexpected. Malaysia, on the other hand, is supposed to be a pluralistic democracy and its citizens have every right to expect much better. It’s a shame they fear the worst.